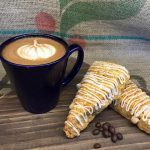 We searched far and wide (and waaaay beyond Starbucks) for the Metroplex’s best beans, jolting javas and happening hangouts. Need a nosh to go with your cuppa? We’ve got those covered, too. This is the perfect setting for “coffee talks” with friends, weeknight dinner with the family, date night or just about anything else. Coffee is European style, handcrafted, shade grown, mostly organic and all that—but there’s so much more. 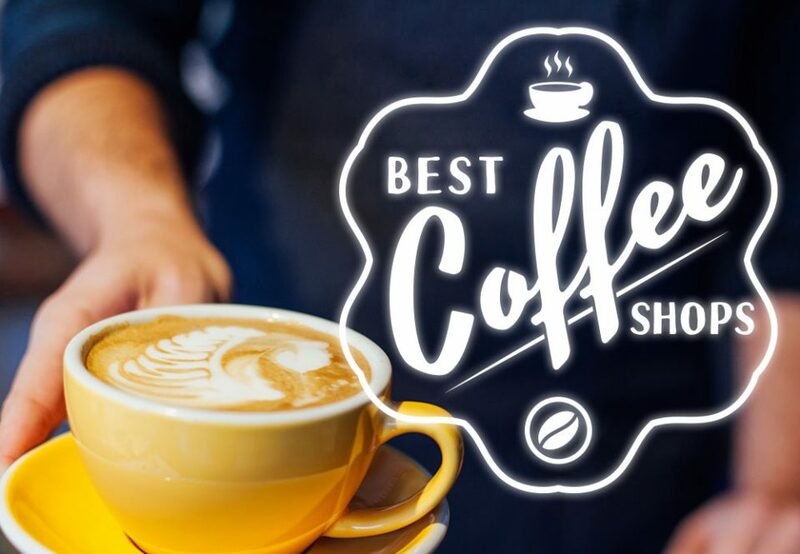 You’ll also see French press drinks, cold brews and pour overs, as well as delicious “adult” coffees, featuring tasty add-ins like Bailey’s, Frangelico and vanilla vodka. Why not stop in after a movie, when you’re not quite ready to call it a night? Or, maybe you’re in a hurry? No problem; this place even has a drive-thru, offering both beverages and breakfast/lunch items. And pooches are always welcomed on the patio—as long as they don’t drink too many espressos. 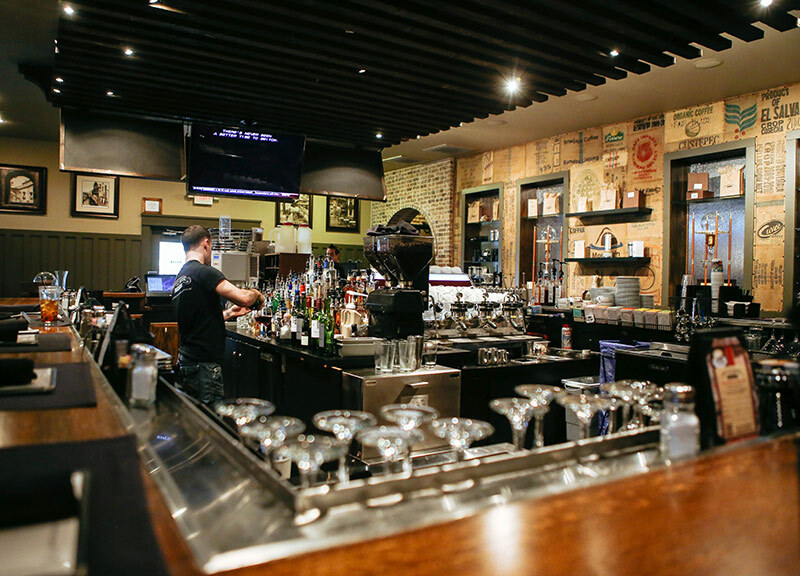 Coffee House Cafe is the perfect place for “coffee talks” with friends, weeknight dinners with the family, date nights and just about anything else! 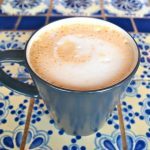 When Carlene Saelg and Rita Davis moved to Dallas from Austin in early 2007, they began looking for a “real” coffee shop—the kind that served strong, mostly espresso-based drinks that weren’t bitter, provided a community atmosphere and welcomed those who wanted to open up a laptop or book and hang out for a while. 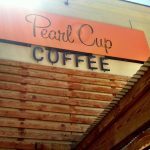 When they couldn’t find one, they boldly opened Pearl Cup. 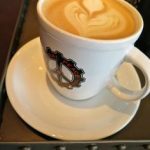 Using only the best, local Texas roasters, Pearl Cup is the perfect venue for true coffee snobs—and we mean that in the most complimentary way. Of course, you must try their creamy, dreamy signature drink: The Pearl Latte™. Whether you’re searching for a cool, caffeinated hangout after burning some calories at White Rock Lake or a quick walk-up/drive-thru with plenty of specialty drink options, like Iced Caramel Mocha and Mango Peach Green Iced Tea, White Rock aims to please. The main location on Northwest Highway offers plenty of seating (there’s also a small balcony upstairs if the downstairs is full), free Wi-Fi, fresh muffins, bagels and pastries and if you hit them at the right time, free live music, too. It’s also a great place to pick up a pound of locally roasted microlot, organic or direct/fair trade beans for your home brews. ‘Cause sometimes you need a crepe, too! And when the craving hits, it’s time to head to Frogg. If the Nutella and Stuff crepe (with foster and caramel sauces, whipped cream, apples and cinnamon) isn’t enough to make you jump in your car, maybe the friendly and knowledgeable baristas will win you over with one of their delicious hot beverage options, topped with beautiful latte art designs. 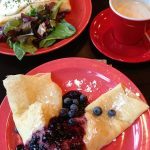 Heartier appetites will appreciate their delicious soups, sandwiches and filling omelet crepes. This place feels like a little slice of European heaven. If you think the name of this place refers to a hippie-dippie alternative to “that other factory” (you know, the one with cheesecake), think again. “Factory” is just for fun, because Global Peace is anything but. A fairly small space with highly customizable drinks, interesting ingredients and super-friendly wait staff are what bring folks back here time and again. We said interesting coffee ingredients, and we meant it: lavender or coconut syrup. Honey. Brown Sugar. There are also plenty of milk alternatives. But what makes Global Peace a standout for us is that it donates a portion of its proceeds to peacework charities. Pretty cool for a place that serves really hot beverages. 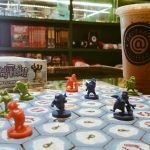 We’re not sure what makes us nerdier: our love of Nerdvana’s borrow-or-buy board games library or the fact that we get super excited about a hot beverage served in actual coffee mugs. Never mind. Nerdvana gets a big thumbs up. Much of the seating in this wide-open space is community-style—perfect for socializing and playing games—with plentiful outlets for all your electronic devices. Teas and fresh juices round out your beverage selection, and the Texas Toasts are definitely worth a tasting. We swooned over the Divine Apple Pecan version. This is the kind of straightforward coffee joint that makes life wonderfully simple: a few coffees, a few specialty drinks, some beer, a little wine and kombucha on tap. Daily wraps and sandwiches (a limited selection but all very tasty—served with chips and oddly, a banana—because bananas are awesome) provide something to nosh on while you linger (and you’ll definitely want to linger). The atmosphere is Irish pub meets something from the set of Harry Potter with warm, dark woods, old paintings and taxidermied animals. Our only complaint is that folks like it so much here, they tend to set up camp at the small tables rather than grab-and-go, so if you’ve got work to do (free Wi-Fi), be sure to arrive early in the day. There are also seats at the bar and on the small front patio. Tucked away in a sleepy (read: tired) shopping center in Carrollton just off George Bush lies this tiny treasure, operated by the lovely Vazquez sisters. (Their parents opened the bakery back in 1979.) It’s the kind of place that you try once, then hesitate telling your friends about it because basically you’re selfish, and you want the mind-blowing café con leches, cortaditos (espresso, steamed milk, foam, sugar) and freshly-baked Cuban pastries all to yourself. We don’t blame you. With just a few tables inside and out, you’d better be prepared to wait, but while you do, enjoy the black-and-white family photos of days-gone-by in Cuba. Do. Not. Miss. The sandwiches, particularly the Media Noche, stacked with meat and pickles and pressed onto freshly baked Cuban bread. 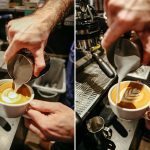 Brick walls and a pressed tin ceiling give Fourteen Eighteen the big city urban vibe that many of us crave in DFW, especially in the ‘burbs, but really, it’s about the coffee. And the comfy couches. Oh, and the pastries! 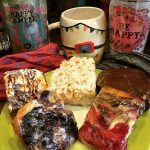 If you’re craving sweets, there’s a generous selection of sumptuous pies from Emporium, flaky pastries, muffins and scones to pair with your double espresso or cappuccino, made with beans roasted by Oak Cliff Coffee Roasters. All-natural fruit smoothies and frappes are a nice alternative, and the non-rushed atmosphere means you can while away here on a Saturday morning, book in hand, feeling somehow transported. Or, bring a date later that night to share dessert. 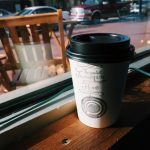 Looking for an off-the-beaten path hangout serving good coffee (including a delicious Turkish option), a plethora of hot and cold teas and tons of bubble tea options? This is your new go-to. 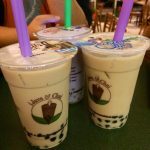 And we’re not just talking bubble tea—there are popping bubbles, tapioca pearls, jelly—if you enjoy a certain amount of chewable-ness in your beverage, they’ve got you covered. Also nice are the unique pastries, including baklava, pretzels, cakes, macarons and za’atar pie—not really a traditional pie but a savory snack made with Middle Eastern spices and sesame seeds on pocketless pita bread. Popular with students doing homework, this family-run biz even offers them a 15% discount with ID. It’s even open until 2 am on Fridays and Saturdays, a rare and welcome find in Plano. Snug is like a hug, tucked into a square. Does that make sense? 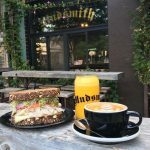 Maybe it will when we tell you Snug offers delicious hand-crafted coffee beverages and ginormous portions of omelets, breakfast sandwiches, hearty soups, sandwich melts and salads—and both breakfast and lunch are offered every day, all day. If you live in McKinney, you’re lucky—you can just stumble into the square for a Snug brunch any ole time you like (up until 3 pm on Saturdays). The rest of us will make our visit a mini day trip, first filling up at Snug, then burning off those calories with a few strolls around the courthouse square, stopping in at all those cute, independently-owned shops. Waits can be long, especially on the weekends, but it’s worth it. 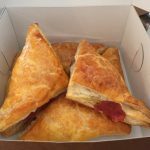 This beloved neighborhood staple on Greenville Avenue offers fantastic coffee, delicious pastries and housemade breakfast and lunch items. A few additional bonuses: it’s connected on one side to a gluten-free bakery and on the other to a darling flower/gift shop offering reasonably-priced, hand-tied bouquets. With cute, local M-street names for a variety of hot and cold sandwiches and a deli case of nicely presented cold salads, there’s something here for everyone—whether you’re looking for a place to roost/work, takeout or catering. Bread is baked daily from Empire Bakery, meats are preservative free, veggies and herbs are from the rooftop garden, and even the eggs are from the Corner Market’s very own chicken coop. Don’t miss the mile-high huevos rancheros and Belgian waffles on weekends.